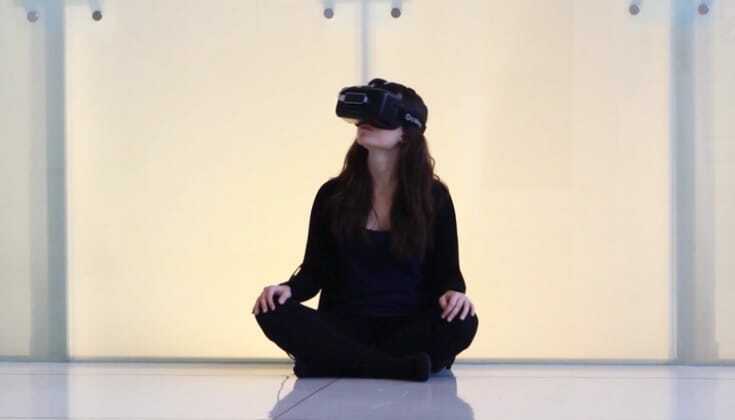 Researchers at MIT’s Media lab have conducted research on mindfulness practice in virtual reality. Video screen grab by Judith Amores. What do dreams and video games have to do with Tibetan Buddhism? For one thing, they all introduce us to “dereification” — the creeping feeling that reality isn’t as solid as we might think. For another, they will all come together at a workshop led by Buddhist teacher and lucid dreaming expert Andrew Holecek at Shambhala Mountain Center next week, where new research on the subject will be unveilled. 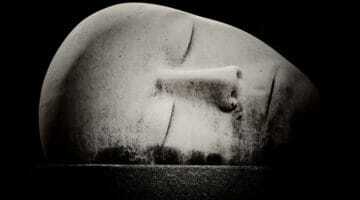 Holecek will explore “dream yoga,” the Tibetan Buddhist practice of meditating in a lucid dream. 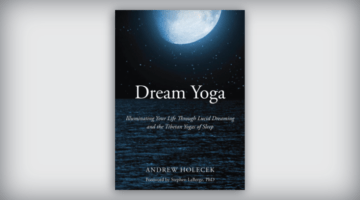 In his 2016 book, Dream Yoga: Illuminating Your Life Through Lucid Dreaming and the Tibetan Yogas of Sleep, Holecek blended traditional Buddhist teachings with modern sleep science research. Now he’s looking at how to further incorporate Western knowledge with the ancient tradition by exploring the potential of virtual reality. Earlier this year, Holecek was approached by researchers from Naropa University’s Cognitive Affective Science Lab. The researchers were studying the relationship between lucidity — the ability to differentiate between what is real and unreal — and emotions. They hypothesized that people with greater lucidity would have a better relationship with their emotions. To test the hypothesis, they recruited research participants with a predisposition to lucidity, including lucid dreamers like Holecek. Then they put the participants in uncomfortable situations using virtual reality and observed the participants’ responses. Virtual reality (VR) is a burgeoning field of technology that uses a headset to immerse the user in a digital environment. It’s popular for entertainment and video games, but innovators are seeing potential for it in other fields — including Buddhism. At Holecek’s workshop, the researchers from Naropa will present on their findings and invite attendees to participate in their research. Holecek envisions many more opportunities for collaboration between Buddhists and VR developers. For Holecek, this directly parallels lucid dreaming. In a feature on dream yoga in Buddhadharma: The Practitioner’s Quarterly, Holecek explained that in lucid dreaming you can watch objects shift shapes, and also confront your nightmares — both of which can help you discern reality from illusion in your waking life. But the vividly real experience of VR can have a dangerous side. In the case of VR, the illusion of realism is known as “presence,” and Holecek thinks it can be problematic. If we engage with virtual reality and lucid dreams mindfully, Holecek says, we can discover wisdom. If you get too attached to cognitive presence, you lose touch with your body and your world. When you’re strongly attached to that immersive virtual reality and then take off your headset, the experience can be quite jarring — your sense of reality and illusion is shaken. Holecek sees the same potential for virtual reality, and he hopes to parlay that vision into a virtual reality program that teaches the principles of dream yoga. He theorizes that it could serve as a learning aid, so practitioners could more easily learn to wake up and practice meditation in their dreams. Next week, he’ll meet with Tibetan Buddhist lamas to ask for their blessing and their counsel. Holecek isn’t the first Buddhist to see an overlap between Buddhist practice and VR. Researchers at MIT have studied how virtual reality could be used in mindfulness training. And, in an article in Lion’s Roar magazine, Vincent Horn — cofounder of Buddhist Geeks and Meditate.io — argued that virtual reality posts a challenge for Buddhists to build digital technology that empowers wisdom and helps users practice the dharma.